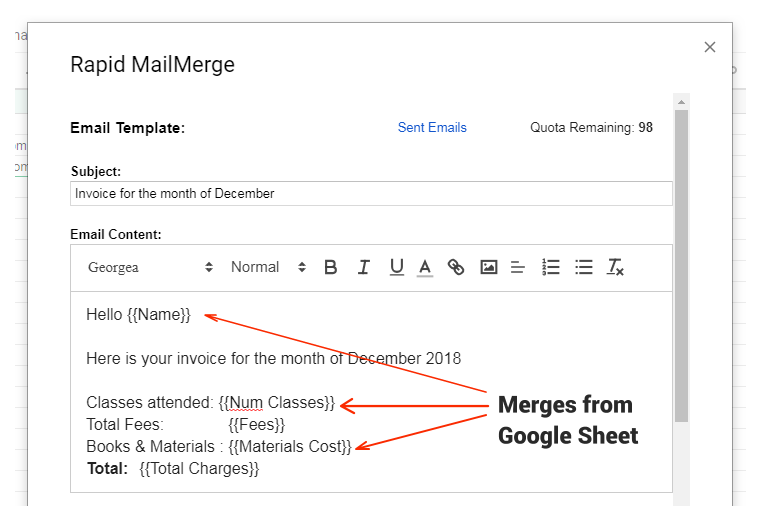 Compose your email right inside your Google sheet and send it quickly using Rapid MailMerge Add-on. A simple, compact user interface to fall in love with! Rapid MailMerge Addon comes with its own email editor. So you don't have to leave your Google sheet just to compose your email template. You can preview each email inside the add-on itself. So you know how the email will look after the mailmerge. Once you are ready with your email, just send it. 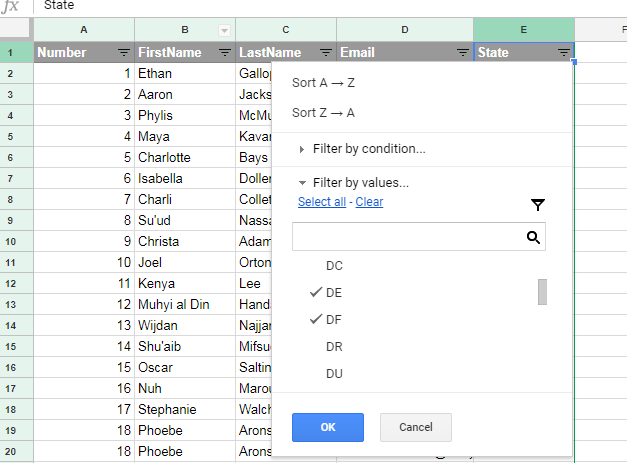 The addon will pick the email addresses from the google sheet, personalize each email and send it to the right contact. For example, suppose you have a Google Sheet with the individual scores of students. You can place the scores right in the email. Just compose the template and then send the emails! Suppose you want to send the emails to specific contacts only. Just filter the Google sheet and then send the emails! The addon will send the emails only to the visible rows. Get this Free addon now and try and try it. It is free. The add-on does not set any limitations at all. Read more about Rapid MailMerge features and uses in the Documentation.